I don’t know if you’ve noticed or not but summer is almost over. The back-to-school retailers would have you believe summer is over in mid-July when they start pushing you to buy folders and No. 2 pencils. 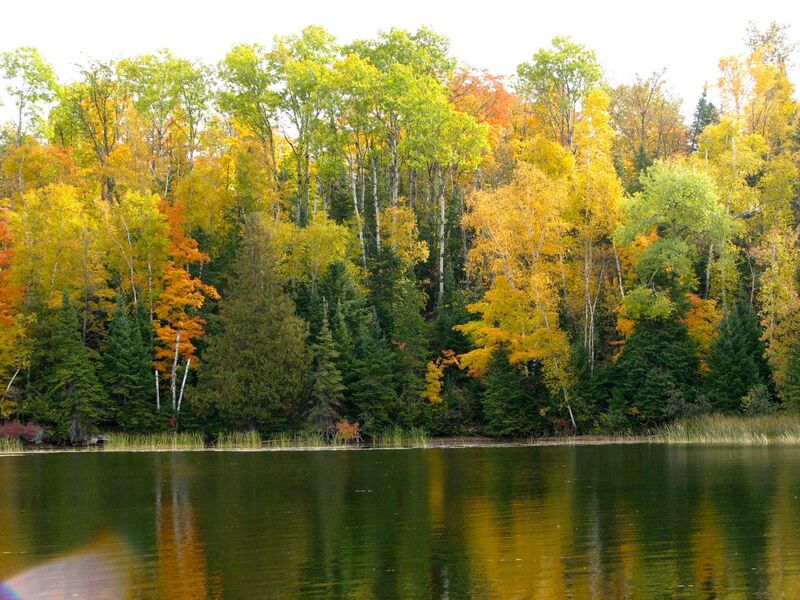 However, by this time of year it really is true….summer is moving on out and fall in Minnesota is on the horizon! Minnesota fall color tours are the prime reason most folks head north in the fall. Mother Nature puts on a pretty spectacular show using a backdrop of pines to set off the blazing red, yellow and orange of Autumn. Peak colors in our area usually happen sometime between mid-September and the first week of October. We’re seeing leaves change already so if I had to guess today I’d say peak colors will be earlier this year rather than later. 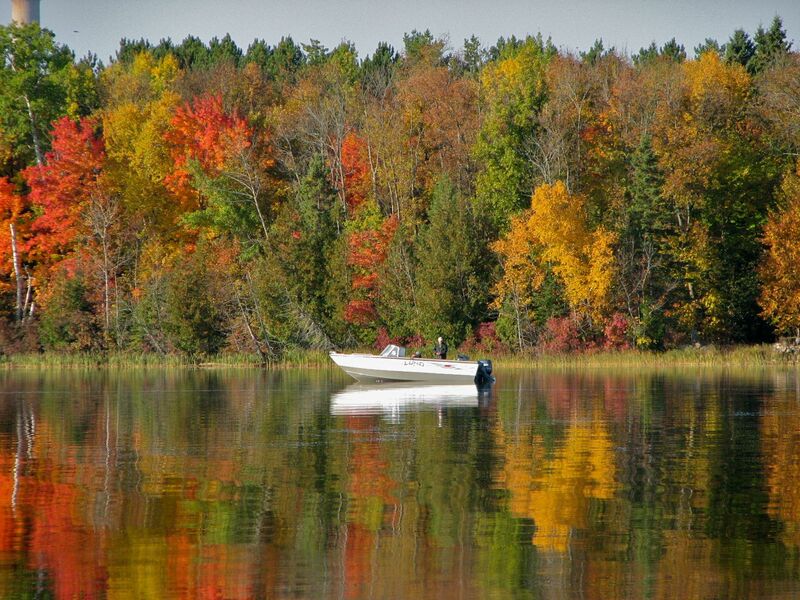 Fall fishing at its best on Bass Lake! 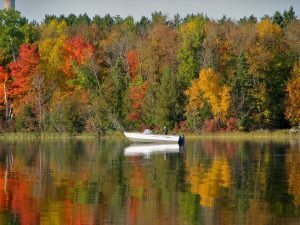 Bass Lake is a great destination for fishing in the fall. I say that partly because it’s the only time Jay and I get to spend a good amount of time on the lake! 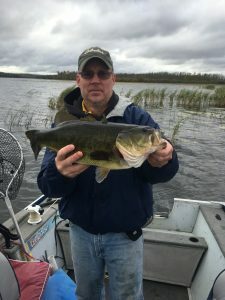 However, with the kids in school the lakes are a little quieter and so is Wildwood and as the lake temperature falls and the fish move into their fall feeding pattern it can be some of the best fishing of the year! In the summer our main focus is providing the perfect resort at which families can spend their Minnesota summer vacation. In the off-season our focus turns to providing relaxing weekends for folks to spend time with family and friends. Life is busy but a weekend away allows you to relax, reconnect and refresh the soul. We invite you to find that here with us! Minnesota bird-watchers, hikers, hunters and ATV enthusiasts alike can tell you about the magnificent forests that cover Itasca County. There are thousands of miles of trails available for you to explore whether you like to do it with camera in hand or from the comfort of your side-by-side! 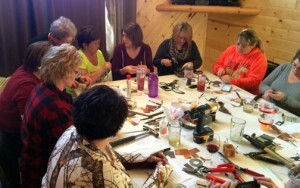 Jewelry making during an annual girlfriend weekend at Wildwood! Okay…is one is a bit of a stretch only because I was trying to stick with the “f” theme I had going. 🙂 Do you scrapbook? Quilt? Craft? Our off-season rates and flexible availability make it easy to grab a group of your best girls and head north for a weekend of getting stuff done! Knock out that graduation scrapbook or finish up that t-shirt quilt. We have the perfect setting for fun with your friends while you catch up on a year’s worth of projects! Our availability is online and we’d love for you to check our openings and then make plans to visit us this fall! Jay caught and released this 6lb largemouth on Bass Lake September of 2016!